A little extra knife work means you can enjoy a well-marbled American Wagyu New York Strip at a better price. American Kobe Wagyu End-Cut New York Strip. 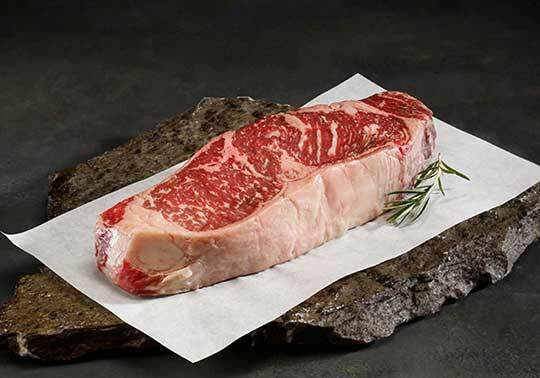 A little extra knife work means you can enjoy a well-marbled American Wagyu New York Strip at a better price.